Many people bought and use the T-TOPER V4.1 earbuds because they are so small and offer good sound quality. Today I will review these earbuds and tell you if they are really worth buying. The sound quality of the T-TOPER V4.1 wireless earbuds is very good. The company claims that these earbuds use the CVC 6.0 technlogy to redice small noises (noice cancellation). If you want earbuds with better noise cancellation – check out Rowkin Bit (Amazon link). They are indeed amazing in my opinion, and offer better sound quality as well. T-TOPER V4.1 also have a built-in microphone (on the right side) so you can use them to answer calls without taking your smartphone out of pocket / bag. The microphone quality is very good. If you plan on using them for hands- free talking, you can use only one earbud instead of both, to save battery. For music you’ll need both of course. Another great pair of wireless earbuds you should defiantly check out is SOL REPUBLIC SOL-EP1190GD (Amazon link). They are totally wireless as well, and the sound quality they provide – is just wow ! They are also sweat resistant and suitable for sports. The T-TOPER V4.1 wireless earbuds are pretty comfortable. They do feel different in your ears, especially if you only used “regular” wireless earphones with a cord between each earbud. You do get used pretty quickly, so no problems with that. You can use these wireless earbuds for long periods of time without feeling any discomfort. They do fit well in the ear, so they won’t fall out or anything like that. Are they suitable for sports? well, probably yes, but I would recommend “regular” wireless earphones for sport activities. These earbuds come in a special carrying box, which is also a portable battery. It’s 2000mah, meaning you can charge your earbuds with it – few times. Since the wireless earbuds themselves are very small and can’t have a big battery -T-TOPER decided to use another concept – to use the carrying box as a battery. A 30 min charge will give you up to 2 hours of music playtime. You have to charge the carrying box itself as well (in addition to the earbuds of course). 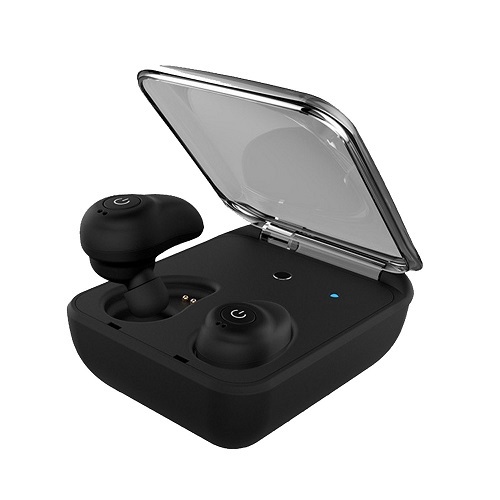 The T-TOPER V4.1 wireless earbuds use the Bluetooth technology. You can connect them to pretty much any Bluetooth enabled device like your smartphone or tablet. The connection is very stable and the range is about 8-10 meters, which is not bad at all. If you are looking for really compact and small wireless earbuds – defiantly buy T-TOPER V4.1. 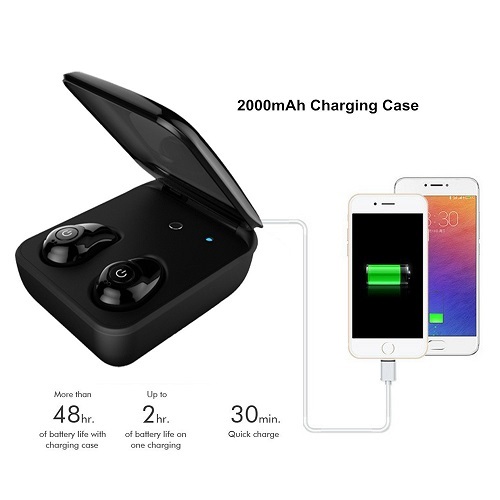 They are unique and the portable battery carring case is very useful. There are better wireless earbuds you can find online, but in many cases – they are more expensive. I hope you liked my review. If you have any questions about T-TOPER V4.1 – feel free to comment below. Also, check out other audio related product reviews on our website.